KM-4000 Mobile Rack | KWI Technology Inc. 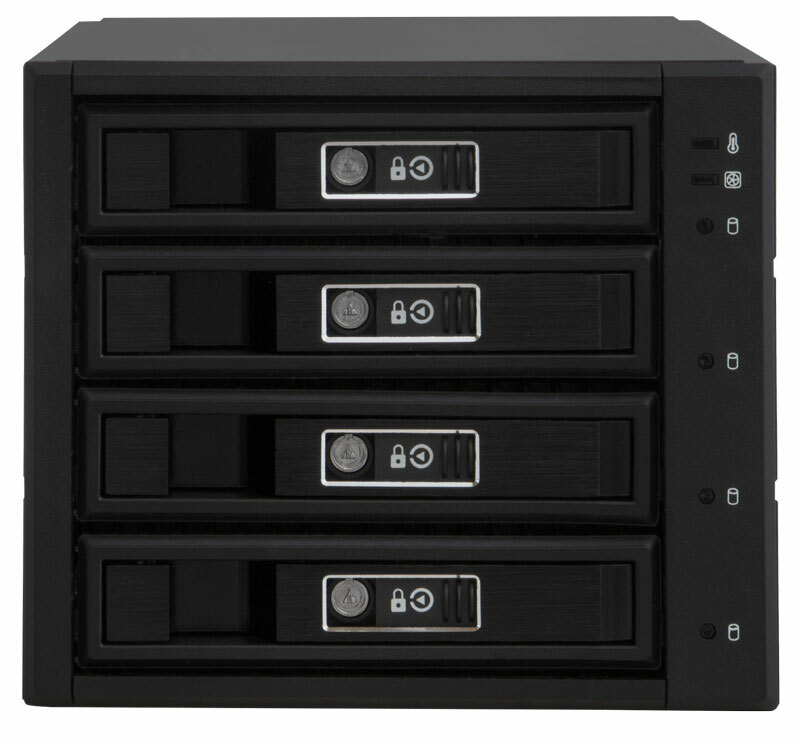 The KM-4000 SATA mobile rack from Kingwin is a storage solution for IT professionals and computer users who manage multiple SATA hard disk drives. 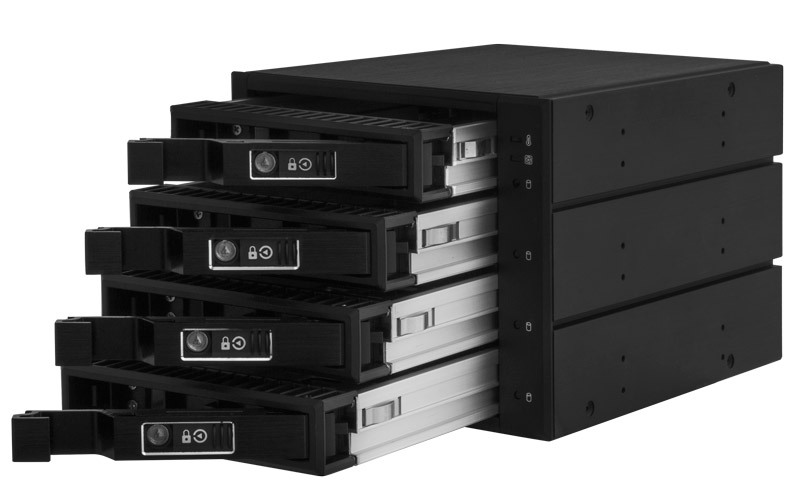 The rack consists of three extra drive bays and supports up to four hard disk drives. Its high portability and highly advanced security features make this mobile rack model stand out from the rest. Each drive door has a triangular key lock feature, which secures the hard drives from unauthorized access. You can also move the mobile rack from one station to the other easily and securely, without the fear of losing valuable data. Hard disk drives become vulnerable when they experience extreme heat, vibration and magnetism. 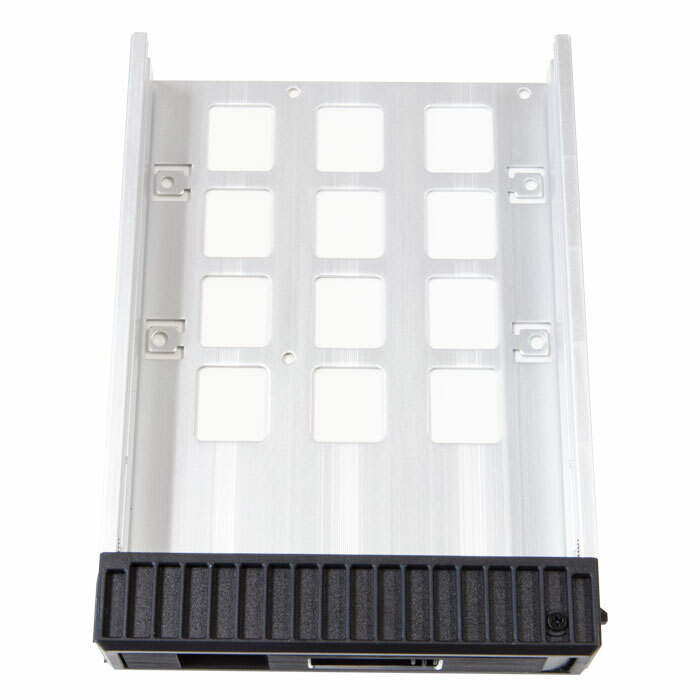 The KM-4000 SATA mobile rack consists of an aluminum bezel frame, which is resistant to vibrations and magnetism ensuring that your hard disk drives are not affected. It highly advanced cooling system prevents overheating of the device. 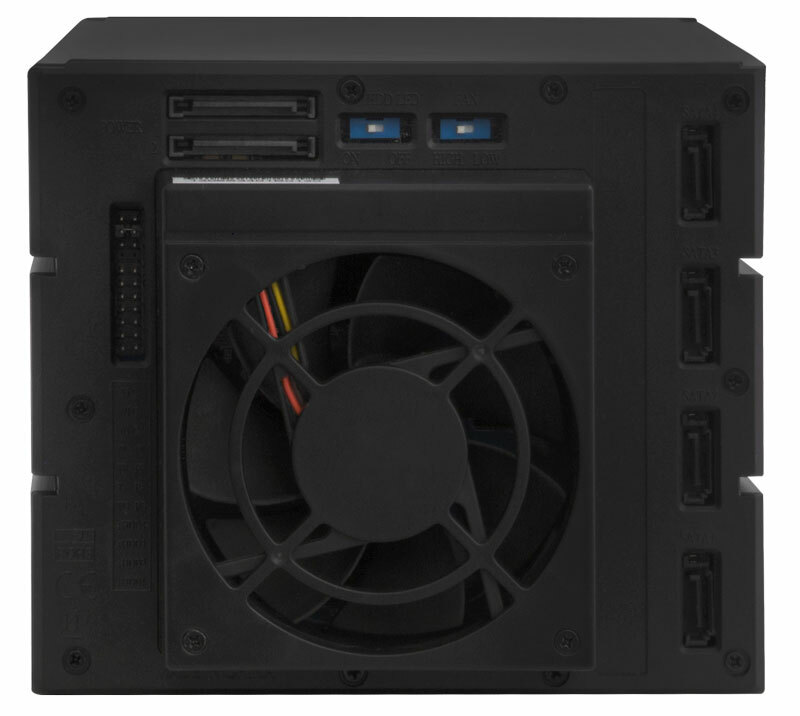 Switch the cooling fan between low and high speed and control the temperature of the device. 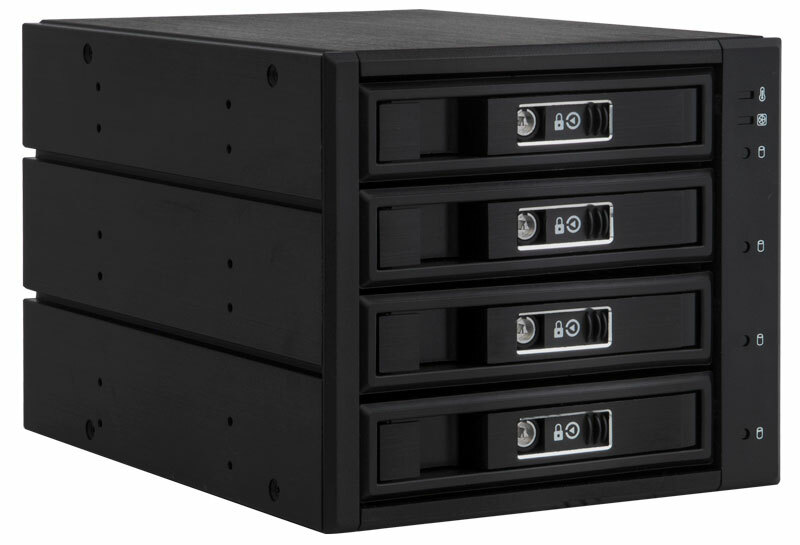 This HDD mobile rack supports SATA I/II/III & SAS I/II with high data transfer rates of up to 6Gbps making its performance highly efficient. You can transfer data between devices within no time. Additionally, it supports hot swaps where you can replace hard disk drives on an already operational computer system, without the fear of overheating or damaging your hard disk drive. The efficiency and effectiveness of this mobile rack are unmatched by previous models. It features multiple LED lights, which indicate various statuses of the mobile rack. The Power & HDD activity LED indicates if the device is powered on or not while the HDD activity LED shows if the HDD is active at a particular instance. As the name implies the fan status LED on the device indicates the status of the fan and if it is functioning efficiently or not. An additional LED light is the temperature status LED, which displays a signal when the temperature changes drastically. If you follow the instructions on your manual, you will find out that the KM-4000 SATA mobile rack is very easy to use and maintain. It has an easy to open latch door and a tool-less installation procedure, which makes it easy to insert and remove hard disk drives. 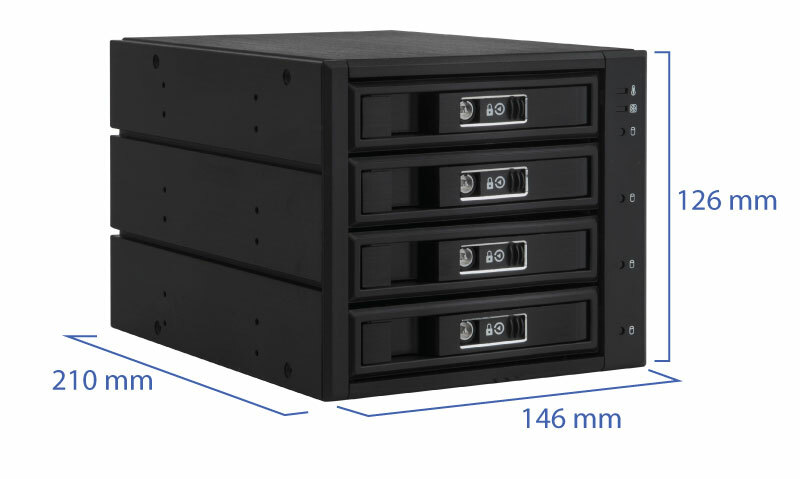 For extra stability, the rack consists of a tray and additional screw holes for you to fasten your hard disk drives in the available bay slots.